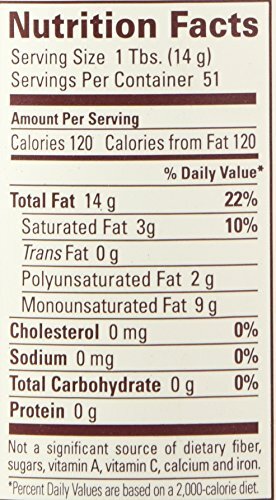 When asked by professional chefs to come up with the most versatile organic cooking oil, La Tourangelle developed Organic Sun Coco Oil, a unique blend of organic high-oleic sunflower oil and organic refined coconut oil. Neutral in flavor, La Tourangelle Sun Coco combines functionality of high smoke point and rich texture, perfect for: frying crispy chicken, sautéing evenly coated veggies, deep frying potatoes, baking light pastries. La Tourangelle Sun Coco oil serves as a wonderful substitute for butter and vegetable shortening. It is also ideal to have a nonstick coating pan. In short, it is the “must-have” in your pantry. In addition to all its cooking functionalities, Sun Coco has natural omega-9 (9g per serving) and MCT’s (1.1g per serving) contents adding beneficial nutrients in your diet. It is the perfect everyday healthy cooking oil. La Tourangelle is one of few remaining oil mills keeping a time-honored French heritage of roasting and pressing nut kernels into delicious oils. We are a family-owned company whose mastery of oil production is the fruit of passion, integrity, and pride. We strive to be the best artisan oil producer, dedicated to making carefully crafted, sustainable, natural products. With artisan care, we extract the seeds’ essence and hidden natural treasures to create amazing products that bring delight in the kitchen and well being for the body.QUALITY YOU CAN TASTE: La Tourangelle brings artisan excellence to your kitchen and home. The mainstay of all La Tourangelle’s natural, artisanal oils is premium taste derived from the best quality ingredients. Add the flavor of La Tourangelle to any meal. PROFESSIONAL CHEFS ASKED for our help, so we developed Organic Sun Coco Oil, a unique blend of organic sunflower oil and organic refined coconut oil. 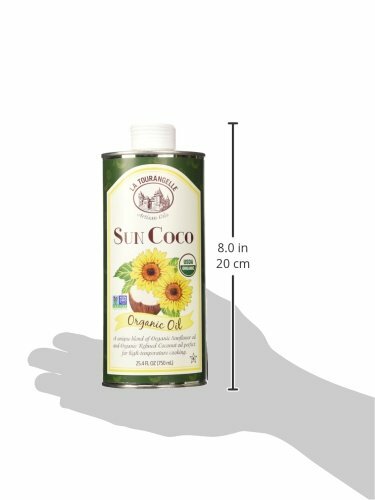 With a neutral flavor and high smoke point, Organic Sun Coco Oil is perfect for all your cooking needs.